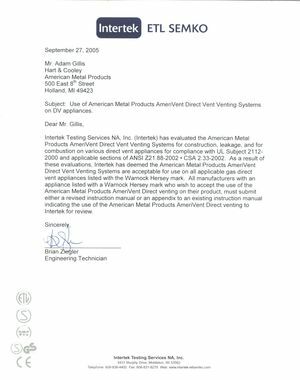 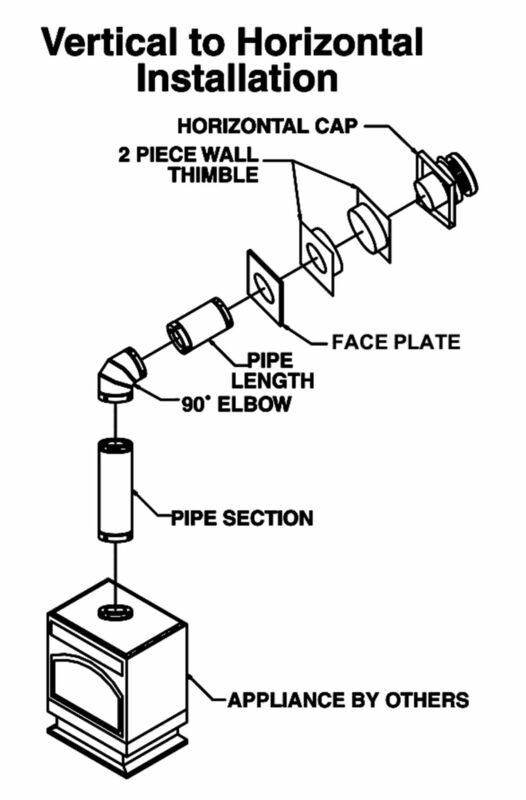 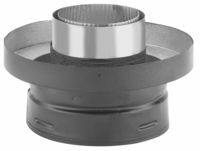 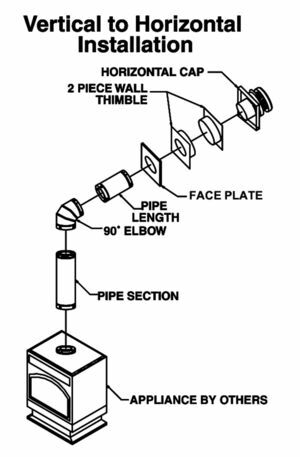 Lengths: 7", 12", 24", 36", and 48"
For venting direct vent gas appliances listed or certified for use with AmeriVent Direct Vent. 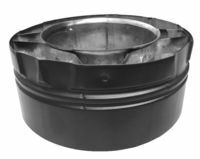 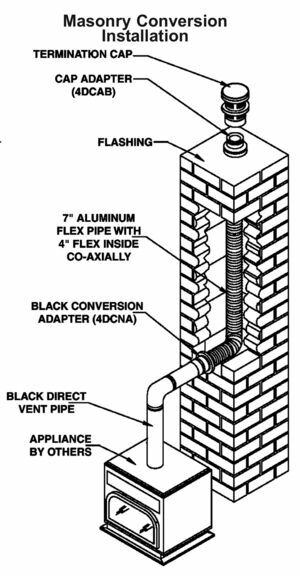 For information on venting gas appliances having draft hoods and other appliances listed to be used with Type B Gas Vent, request our Type B Gas Vent Catalog. For information on venting unlisted gas appliances or appliances burning solid or liquid fuels, request our TLC Chimney Catalog. 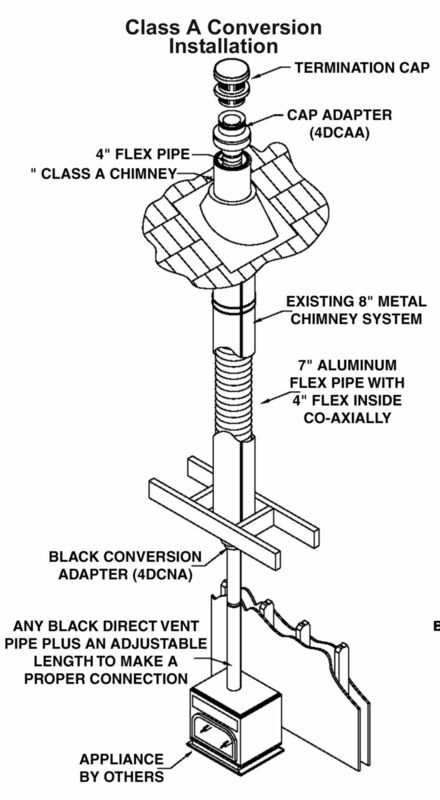 Nominal 4 x 6 5/8" .012" .018"
Nominal 5" x 8" .012" .018"
Refer to the appliance manufacturer’s installation instructions for minimum clearances to combustibles.